A quick trip down the pub has turned into the challenge of a lifetime for four novice runners from the Black Country. 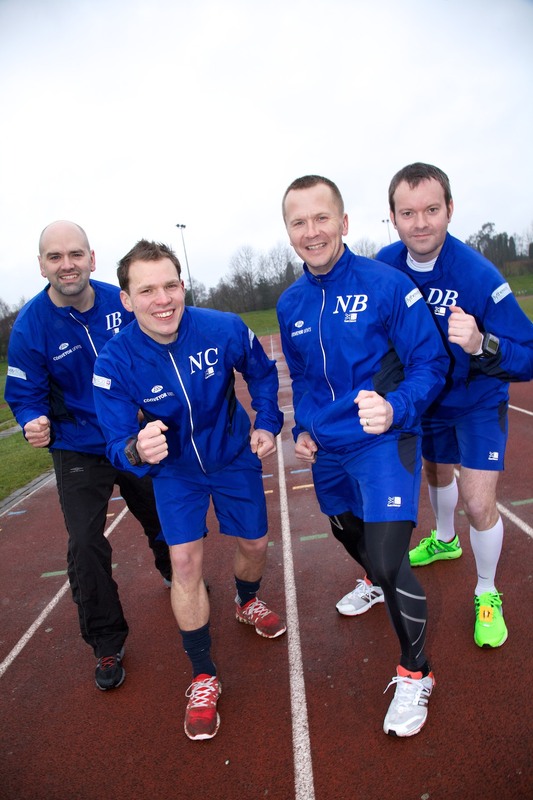 Dave Bytheway, Ian Bytheway, Nick Cockburn and Nigel Bolton are swapping their day jobs as an accountant, financial director, sprinkler fitter and firefighter to run 62.5 miles – in 15 hours – as part of the grueling London to Brighton challenge on May 25th. The intrepid quartet – nicknamed ‘Team Running on Empty’ – are looking to pound the streets, hills and pathways of South-east England to raise £5,000 for Balls to Cancer, a local charity established by Mark Bates to fund male cancer awareness, education and research. As part of their 500-mile strong training programme they will complete two ultra races, four marathons, two half marathons and the infamous Groundhog Marathon – 105 laps of Telford Athletic Stadium. Dave Bytheway, director at Bytheway Accountants and the inspiration behind the challenge, explained: “We were having a few beers down the pub when somebody threw down the gauntlet of running 62.5 miles. ‘Team Running on Empty’ has received overwhelming support from the local business community, with Conveyor Units and Bytheway Accountants pledging their support as main sponsors. Jacks Café and Bar, located in Frederick Street in Wolverhampton, is also lending its backing, hosting regular meetings and a major fundraising event on March 22nd..
More than 200 people have already snapped up tickets for the charity night, which will see the King (Les Rivers) go head-to-head with Shoddy Woddy, a mega raffle and an all-star auction featuring memorabilia from Wolves’ Wayne Hennessey, Talksport and many other celebrities and sports stars. Nick Cockburn concluded: “£5,000 is our target and we are already well on the way to achieving that. I think that will make us one of Balls to Cancer’s biggest one-off fundraisers! To make a donation, visit www.justgiving.com/londonbrighton2013 or text Daft62 £5 to 70070. If you would like to see the guys run 13 miles in their least favourite football shirt (Nick: Spurs, Dave: Wolves, Ian: Blues and Nigel: West Bromwich Albion) then contact Nick to place your special donation on 07792 383358.